Coined in 2010, the term is thrown around to describe a straightforward concept — that every strategy you develop and implement should be centered around driving growth. Traditionally, growth hacking describes how online services and tech startups gain new users. A growth hacking mindset, though, is just as helpful in ecommerce. With a relentless focus on growth, you can develop and run tests, campaigns, and programs that drive more online sales. To get started, here are 20 simple growth tactics you can use next month to fuel growth at your ecommerce business. Follow these easy tips, and you’ll quickly find the best strategies and channels for scaling your online business. It doesn’t matter how beautiful your ads and brand story are — even the best marketing efforts aren’t as convincing as other customers’ recommendations. Word-of-mouth messaging — ratings, testimonials — is powerful because buyers rely on social proof, the psychological phenomenon of people assuming the actions and beliefs of others are correct. Customers love hearing from other buyers about their experience with a product before making a purchase. It makes them feel confident about their shopping decision since they can’t handle and examine the online good in-person. Add more customer reviews throughout your online store. Product pages aren’t the only space for reviews — you can also add your business’ ratings to your homepage and About page to show buyers how happy people are with your brand. Highlight testimonials. A bit more personal than ratings, testimonials are an opportunity for buyers to tell others an engaging story about their positive experience with your brand. You can highlight testimonials throughout your online store or in your ads and email newsletters. Need help showcasing this content? Use a tool, such as Yotpo, to add reviews and testimonials to your online store. If your company blog is mainly reaching loyal buyers, writing guest posts on outside blogs can be the key to reaching new customers. By writing a guest post on a blog with a similar audience, you can reach plenty of new buyers who are most likely interested in your brand. Make a list of potential blogs that align with your products, and reach out to the blog managers to ask about guest posting. Need tips on how to write your guest post outreach email? Read this blog post from Mention. Don’t make your blog post promotional. Writing a post to sell your product feels cheesy to leads reading your guest post. Focus your writing around a topic that’s industry-related and valuable to your reader. For example, the drink company Bai teamed up with the women’s lifestyle blog Refinery29 to write a watermelon margarita recipe guest post. Instead of writing an article about why people should drink Bai products, the company showed Refinery 29’s audiences why their product is great — it’s a tasty margarita ingredient! Link back to your blog in your guest post. Set up traffic tracking on your own blog so you can see whether the backlinks led people to your site. Refer to our Google Analytics guide if you need any help with setting up this tracking. Instead of only writing pieces for your company blog, branch out and write guest posts to reach new audiences for your business. Whether it’s receiving a free gift or a generous refund, buyers remember when you take that extra step to create an outstanding shopping experience for them. Sending handwritten thank you cards to new customers is an incredibly easy way to create customer delight. In a world full of automated, robotic support, this small gesture stands out to buyers as personal, thoughtful customer service. Feeling appreciated by your card, buyers are convinced to purchase again in the future and tell others about your business. Include a social media offer in your card. Along with sending a personalized note, incentivize the new buyer to mention your brand on social media by promising a special promo code or coupon when they spread the word. Use a thank you card service like Thankbot. The service is technically automated, but every card is handwritten by an actual person. It’s a great solution if your company wants to attract new buyers, but is short on time. By including a way to spread the word about your business, your thank you card’s benefits are two-fold: you keep your newest buyers happy and attract more customers to your business. Running A/B tests is one of the most common growth hacks. Through trial and error, you quickly identify what’s growing your business and what’s hurting it. For even more ideas, check out this blog post from Optimizely. You can also check out these mobile testing ideas from A/B testing tool, Taplytics, if your online store has an app. Once you’ve generated a few testing ideas, follow this Airtable guide on building out a testing process. With a repeatable experimentation system, you’ll be able to consistently run tests and improve your product pages. As an online seller, you likely spend a lot of time thinking about how to drive more people to your store — but what are you doing to catch them before they leave your site? The trick is exit-intent pop-ups — they capture web visitors who try to leave your website without buying. The goal is to change their minds by offering a discount on your products, or at least capture their email address so you can attempt to nurture them through your sales funnel. Consider which offers users would find the most enticing as they’re trying to leave. For ecommerce, a good place to start would be a special discount that can be instantly applied to any products in your shop. Select a tool to easily and quickly add exit-intent pop-ups to your website. A few popular options for setting up exit-intent pop-ups are SumoMe, Bounce Exchange, and Gleam. To read more about exit-intent pop-ups, check out this helpful blog post from Gleam. In ecommerce, your job isn’t done once you make the initial sale — it’s just the beginning. Once you get someone to convert and make a purchase on your website, you can use that relationship to connect with more prospective customers. The key is to get your new customers to spread the word about your business. An easy way to do this is to include a message on order confirmation pages and emails that encourages buyers to share their purchase on Facebook or Twitter. Here are a few strategies for prompting your buyers to share their purchases and spread the word about your business. I just bought my brand new [Your product] from @[Your store name]! Can’t wait to get it in the mail! Get yours today [link to shop]! Incentivize buyers to share with an offer. Unless they’re especially active on social media, many buyers might not feel motivated to post about their shopping experience without some sort of reward. Encourage your customers to share by offering a special discount to customers who share a pre-written social media post about their order. With more customers sharing their purchases, your brand will be visible to a large number of potential buyers. Every company uses digital messaging — emails, pop-ups — to request social media shares, so buyers have become normalized to these requests. The more buyers become used to these requests, the less likely they’ll notice and respond to them. Shake things up for your customers with a new method of sparking social engagement — sending an actual printed card in customers’ order packages that are designed to promote sharing. Customers are excited and happy when their packages arrive, so it’s the perfect moment to encourage them to snap a photo and tag your business on Facebook or Twitter. Use your internal designer or hire a freelance designer to create the engagement ask card. Don’t hand this design assignment to your intern — if the card doesn’t look professional and polished, buyers will ignore its message and won’t share on social media. Incentivize your request on the card. Tell your customers that they will be rewarded with a coupon or free gift for sharing their social media update. Offering a reward will motivate buyers to actually engage with your brand on social media. For buyers, receiving a social media engagement ask card is more exciting than getting an email from a company. Take advantage of the opportunity by carefully crafting your card to motivate buyers to share. While every business needs new customers, your returning customers are ultimately more valuable. They’re twice as likely to place an item in their cart, have lower bounce rates, and convert nearly twice as much as new customers. With this value, it’s critical that you do what you can to get customers continually shopping. An easy customer retention strategy is sending buyers a “buy again” email. 10 to 15 days after a buyer’s purchase, you send the customer an email inviting them to make another purchase. Your email can include a link to the product they bought last time or links to related products. Incentivize making another purchase. In the email, offer something special in return for buying again, such as free shipping, an added gift, or a discount. For more help with ecommerce email marketing, read this blog post from Magento. As shoppers become more tech savvy, their shopping experience expectations have increased. They know what technology is capable of today, so they want more than just an online store — they want sellers to curate a shopping that’s individualized to their needs. Personalizing your online store’s homepage is a great way to provide buyers that specialized shopping experience. Tracking user behavior, your online store’s content can be specifically geared to each customer, For example, you can set up your homepage to promote a product that a buyer was viewing, but didn’t purchase during their last visit. Showing buyers exactly what they’re interested in, your homepage will drive customers to make purchases. Do your research. Personalizing your website takes a bit of technical knowledge, so start by reviewing this explainer from ipinfo on setting up and generating ideas for landing page personalization and this blog post of personalization ideas from Crazy Egg. Use a tool to build out a personalized online store. Software like Evergage or Bunting build out your personalization campaigns on your site without any coding skills. With a personalized homepage, you can target your online store visitors and bump up your conversion rates. 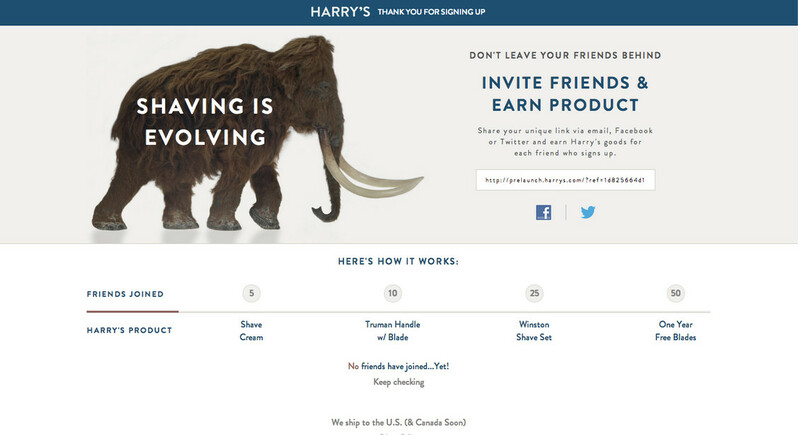 An older, yet still effective growth hack is setting up a referral system. The benefits of launching a program that rewards customers for sending new business are twofold. You’re given contact information to connect with new prospective customers. Giving returning customers shopping rewards, like discounts, when they refer encourages them to make additional purchases. The easiest way to get started with this tactic is to set up an account on a referral program software, such as Extole, Forewards, Sweet Tooth, or Ambassador. All of these tools will walk you through the process of building a custom referral program with no developer skills needed. When a buyer comes to your online store, they may only be looking for one item — but that doesn’t mean you can’t push them to buy more products. Upselling: encouraging buyers to upgrade their purchase. Ready-to-purchase buyers are already interested in your product and brand at the order stage — so it’s the perfect time to cross-sell or upsell their order. Showing excited customers how they can increase the value of their order will push them to make a more expensive purchase. The Art of Ecommerce Upselling by Kissmetrics offers a list of tools, categorized by online store platforms, for sellers to use to set up cross-selling and upselling offers on their site. The 9 Best Upselling Prompts by Appcues is technically geared for SaaS companies, but online sellers could just as easily implement the upselling ideas in this resource. Don’t be afraid to guide your buyers’ orders — by cross-selling and upselling, you’re offering your customers more value in their purchase and boosting your sales. Motivating buyers to shop with social proof can be more than collecting reviews and testimonials. You can also drive shoppers to make more purchases by actually showing what other customers are doing on your online store. Highlighting these live interactions gives your business credibility. By showing live notifications about purchases and customer support assistance, you’re providing online buyers proof of how successful and helpful your business is. To get started, it’s easiest to use a tool like Fomo. It allows you to add notifications of live customer interactions on your online store without any coding skills required. By integrating Fomo with Google Analytics, you can also measure the ROI of showing customer interactions on your site. 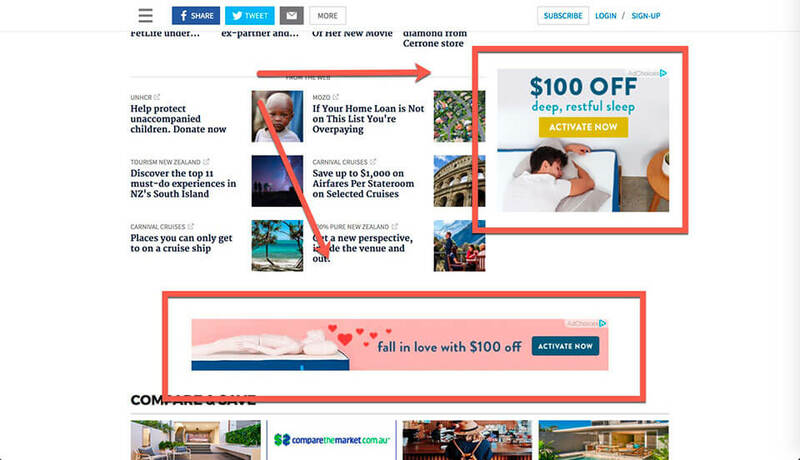 Like exit-intent pop-ups, retargeting ads can capture those visitors who didn’t purchase before leaving your website. This growth hack works by tracking who visits your online store and then displaying ads of your products on other sites they visit. Retargeting ads are especially powerful because they highlight the items that buyers are interested in. Seeing exactly what they were hoping to buy, buyers feel driven to return to your store and complete their purchase. You can begin creating retargeting ads for your online store sign-up with a tool, such as AdRoll or Criteo. These tools allow you to launch retargeting ads and track the performance of these ads. When it comes to buyer psychology, there’s no better way to encourage sales than by invoking FOMO — the fear of missing out. By playing into people’s desire to be included, you encourage your buyers to make more purchases. These urgent statements all make the buyer feel like they’re about to miss a shopping opportunity. With FOMO kicking in, the buyer feels driven to complete their purchase. A/B testing can help you determine the best ways of creating urgency on your product pages. Experiment with different urgent statements and see which ones lead to the most conversions. Use an experimentation tool, like Taplytics, to start setting up and tracking your product page A/B tests. Don’t stop at just blogging on your online store — you can drive even more sales and nurture more buyer relationships by also offering content upgrades. Content upgrades are additional resources, such as an e-book, within a blog post. You offer the reader the resource in exchange for their email address. With this contact info, you can add the reader to your email campaigns, nurture them through your sales funnel, and eventually convert them into customers. Find your most popular blog post, and repurpose it into a content upgrade. Posts with high views and high conversion rates can be easily turned into a short ebook, checklist, or worksheet to drive even more sales. Build an email drip campaign for users who get content upgrades. The first email in the drip series should contain a link to the resource. Any additional emails could include additional content the reader might enjoy and promotional offers for your online store. By offering content upgrades, you can build relationships with buyers. You offer them value with the additional free content, and you nurture them through your sales funnel to make them long-term customers. Holidays like Christmas and Black Friday are ecommerce gold mines — buyers are ready to make many expensive purchases, so you want to be prepared to encourage their shopping even further with a seasonal store campaign. It’s important to be prepared to take advantage of the opportunities these seasons bring to your business. While campaigns are typically centered around promotions, there are plenty of other ways your store can attract seasonal shoppers. You could, for example, get buyers excited with holiday-inspired packaging or you could add a new line of holiday products. Set a clear timeline for your seasonal campaign. Give yourself at least 5 weeks of prep time to coordinate the design, launch, and marketing of your campaign. Promote your campaign with user-generated content. Create an Instagram hashtag and launch a UGC campaign to promote your store’s seasonal celebrating. Starbucks, for example, had an Instagram #RedCupContest to promote their holiday drinks. For inspiration on promoting your seasonal campaign with user-generated content, check out our guide on the 9 Best Ecommerce UGC Campaigns on Instagram. As an online seller, you can’t overstate the value of gaining buyers’ trust. Your shoppers can’t meet with you face-to-face, so it’s up to you to find online methods of establishing credibility so buyers feel comfortable making a purchase. An easy way to build this trust is by adding visual trust badges throughout your ecommerce site. By showing the logos of software that keeps your site secure, you make buyers feel comfortable about sending their payment details and other secure information when purchasing. You can use an A/B testing tool, such as Taplytics, to determine which trust badge placements boost your sales the most. Cart abandonment is all too real — according to research by the Baymard Institute, roughly 70% of shoppers leave their shopping carts without completing their purchase. Most users drop off at the first checkout page, so the key to driving more sales is pushing buyers along the checkout process. An easy way to incentivize completing checkout is offering coupon codes that need to be entered on the last checkout page. Already motivated with their discount, forcing buyers to reach the last checkout page before entering their code makes it much more likely that they’ll complete their order. Make special offers widely accessible. Use promotional emails, social media ads, and other tactics to bring discount codes to tons of shoppers. The more codes you can distribute, the more users you’ll have on the final checkout page. Assign a discount code to every sale you have. Even if it’s a general store-wide sale, attach a code to the promotion so that buyers are still driven to reach the final checkout page. With coupon codes, you get to reward your customers with lower prices and reward your business with more checkout completions. We all know the frustration of a lengthy online checkout. You’re excited by the products in your cart and are ready to complete your purchase, but are required to fill in so much information — your mobile number, your optimal delivery times — to complete checkout. Many buyers would rather abandon their carts at this point than fill in all of this information. Boost your sales by reducing checkout friction with less input fields. Only ask for essential information and try to fit the input fields in a single checkout page. Another tactic is to show the steps of the checkout upfront so the process seems more manageable to buyers. By reducing the amount of work for the buyer, they’re much more likely to complete their purchase. Your store may be online, but that doesn’t mean customers don’t want to reach you. By making it easy for customers to communicate with your business, you can offer better customer service and build buyers’ confidence in your brand. Conversational commerce — buyers and businesses connecting through messaging apps — is the key to easy communication with your customers. Using round-the-clock messaging tools, your buyers can always resolve any issues they experience with your business. There is a range of conversational commerce tools to consider. Many online stores use a conversational marketing platform, like Drift, that allows buyers to chat with the business from their site. Companies also use chatbots to connect with customers over platforms like Facebook Messenger and Kik. You can learn more about implementing this technology with our comprehensive Everything You Need to Know About Chatbots in Ecommerce guide. Being a successful growth hacker doesn’t involve following a uniform strategy — it’s actually the opposite. The tactics that fail for one business may work wonderfully for another company, so you have to experiment with different methods to see which are best for increasing your sales. The trick is to move quickly and iterate constantly. Don’t just aimlessly try new growth hacking tactics after one strategy doesn’t work — think about why your previous method failed, and use that insight to choose your next move. With fast, informed growth hacking, you’ll quickly find the best ways to scale your business and increase your sales.